One of the more gratifying experiences we’ve enjoyed with our BRAVO! encounters is the recognition that is coming to so many of the men who served with Bravo Company, 1/26, during the outfit’s time in Vietnam. On September 28, 2014, Vincent Mottola was honored in his hometown of Medford, Massachusetts. Unlike a lot of other wars in which United States armed forces have been involved, the honors and remembrances due the men and women who served in Vietnam have been slow to come. Regardless of how one feels about the morality or efficacy of our efforts in that war, the men and women who fought and died there, not to mention those who have returned, were not responsible for our government’s choice of wars. They were called to serve and they did, some giving the ultimate sacrifice for, in most cases, something they thought was worth doing. So we are very happy to crow about the honors that are coming now to the men of Bravo who gave up their youth, their naiveté, and in many cases their lives for something they thought was of value. Below are some photos taken and sent to us by Vincent Mottola’s cousin, the vibrant Boston native, Marie Chalmers. 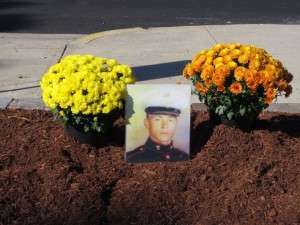 These photos are of the ceremony conducted in Medford, Massachusetts, where Vinnie Mottola was memorialized by having a street corner named in his honor. Vinnie is one of the veterans to whom BRAVO! is dedicated, thanks to the generosity of the Mottola family. 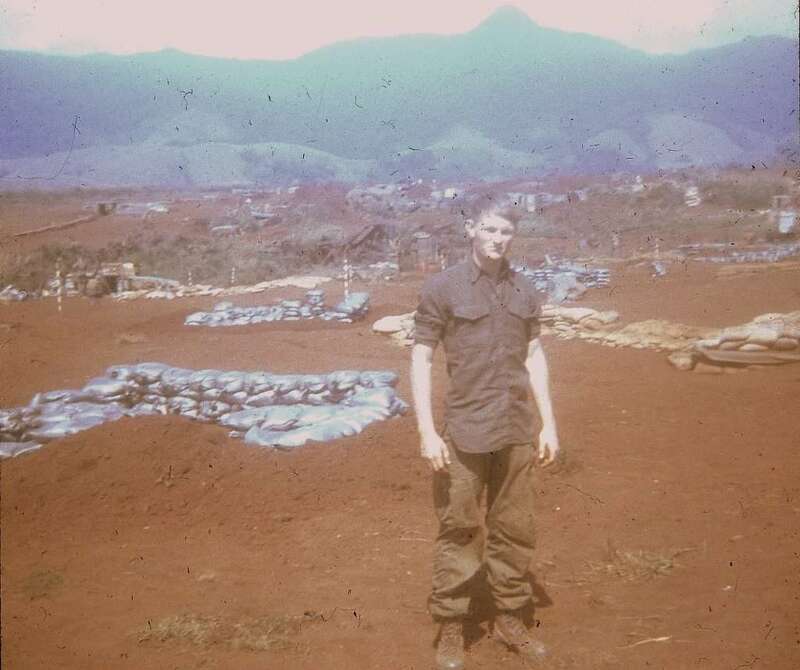 He was killed in action at Khe Sanh Combat Base on February 23, 1968. You can find out more about Vinnie here. Below are some photos of the event in Medford. Photos courtesy of Marie Chalmers. This first photo is of the street sign for the newly named corner. 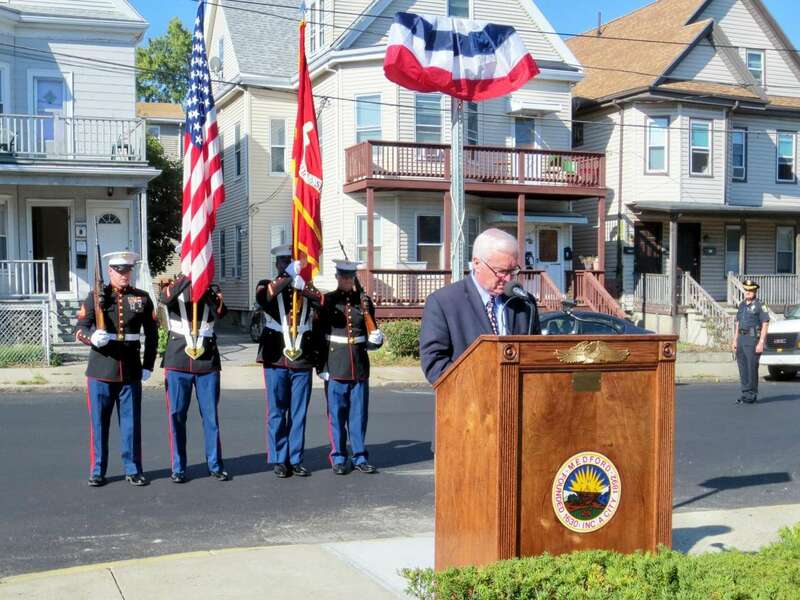 The second photo in this three-photo series is of Medford Mayor Michael McGlynn and the Marine Corps color guard. 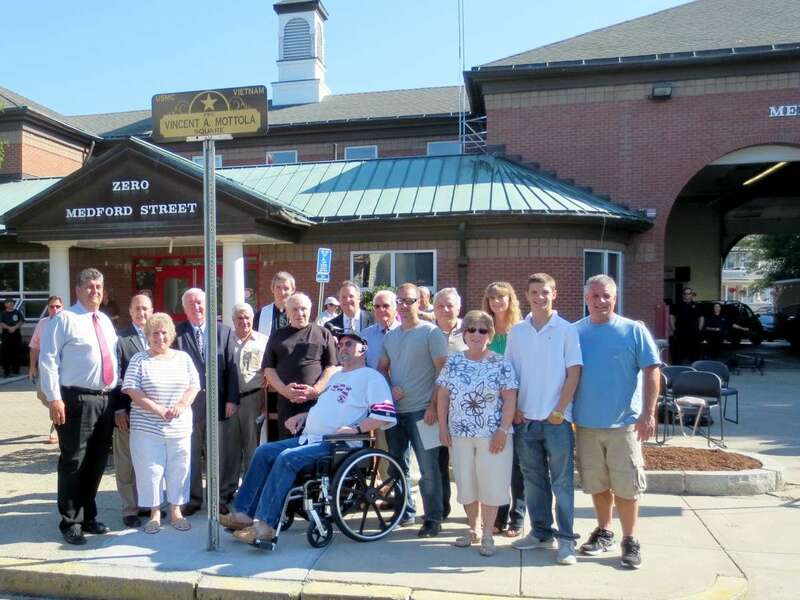 The last is a photo of Vincent Mottola’s family who joined together at the naming of Vincent A Mottola Square. 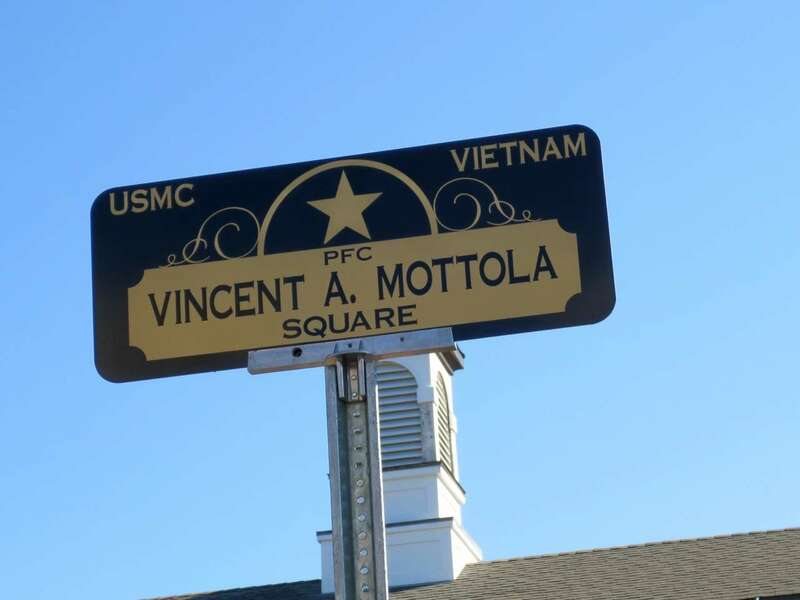 Ooorah and Semper Fidelis, Vincent Mottola! Screen writer and script doctor Lance Thompson muses on the movie. It is ironic but true that the inhuman ordeal of combat often evokes the highest attributes of humanity–courage, sacrifice, selflessness and love. 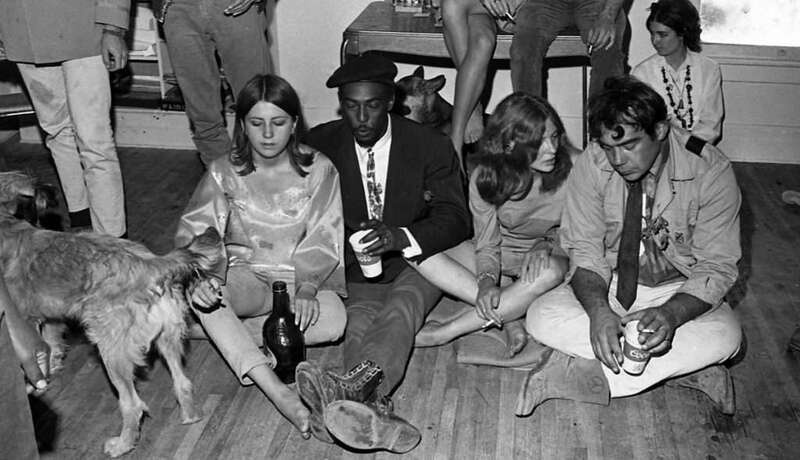 These ideals are convincingly demonstrated in Ken and Betty Rodgers’ feature documentary Bravo! Common Men, Uncommon Valor. Bravo! is the story of a company of marines during the 77-day siege of Khe Sanh during the Vietnam War. The story is told through the reminiscences of a handful of those marines, of whom Ken Rodgers is one. Eschewing the animated maps, clumsy recreations and armchair revisionists, Bravo! focuses entirely on the personal experience of combat. Viewers may not learn the historical, strategic, or political significance of the battle. But they will certainly gain at least a glimpse if not a profound understanding of what it felt like to be there. Archival footage, still photographs, and vintage audio recordings are sprinkled throughout the movie, but only as punctuation. The power of the narrative comes entirely from the veterans who tell their stories on camera. Some are animated and expressive, others quiet and contemplative. 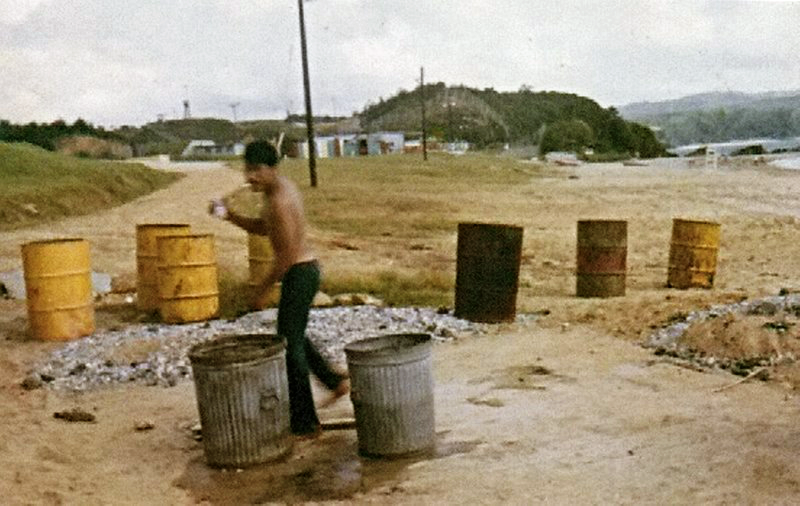 As each recounts the experience from his own perspective, the film becomes a tapestry of individual threads of memory–intensely personal and vividly sharp. The picture that emerges will horrify, inspire, challenge, and leave the viewer deeply moved. The stories in Bravo! are told by older men, but they were lived by teenagers, fresh out of high school, with no experience to prepare them for war. They were not unlike generations of young Americans who were summoned from family kitchen tables and dropped into front line trenches to confront a brutal and determined enemy. Like those generations before and since, they were thrown into the crucible of conflict where their hearts and souls were tested. Like those generations before and since, some faltered, some triumphed, all endured. There can be no greater tribute to the depth and resilience of the human spirit. Bravo! honors them. Lance Thompson is a screen writer and script doctor who is privileged to know Ken and Betty Rodgers, and is thankful that they chose to tell this very important story.